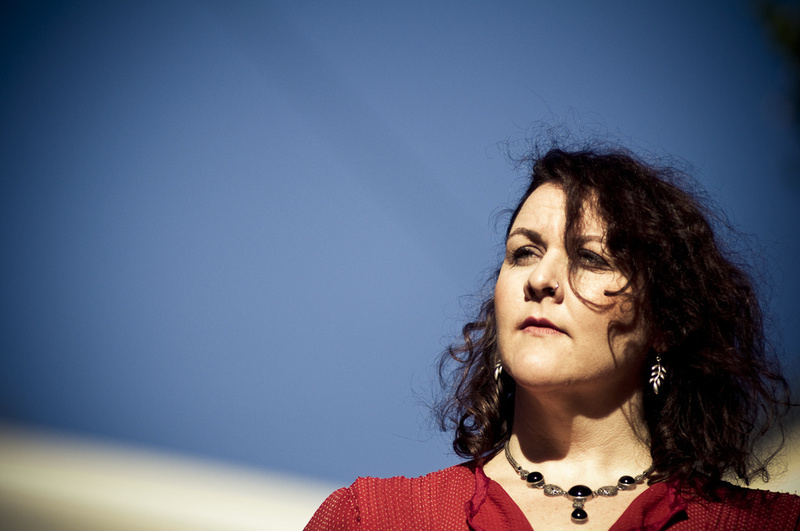 The month of June sees SpeedPoets return to The Hideaway (188 Brunswick St) with feature sets from one of this country’s spoken word innovators, Santo Cazzati (Melbourne) and Brisbane rock legend, Kellie Lloyd. Son of Italian immigrants to Australia, Santo Cazzati emerged from past lives as a classical concert pianist and avant garde jazz musician to teach at an elite Melbourne private school which must remain anonymous in order to protect those concerned. He performs in a range of styles, from fast rhythmical delivery to slow atmospheric meditation, with a strong music influence and critical ironic distance. 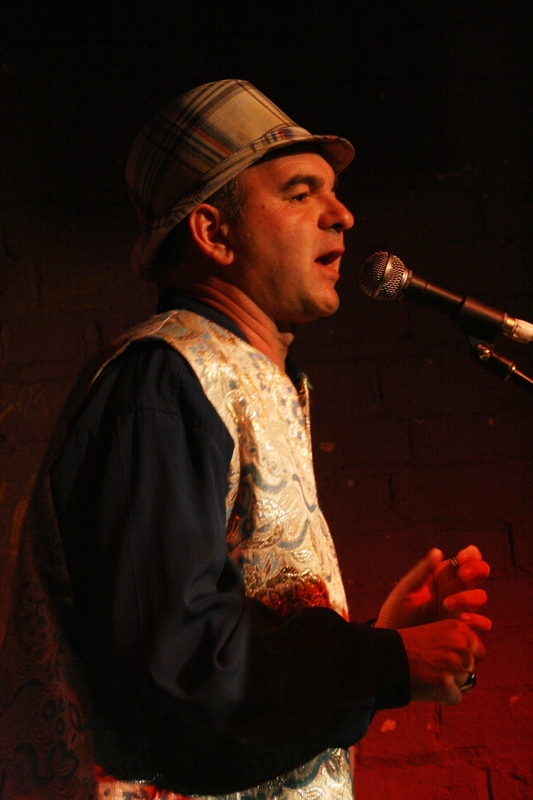 A fixture on Melbourne’s grass roots poetry scene, his feature performances have included Melbourne Writers Festival, Queensland Poetry Festival, Overload Poetry Festival and La Mama Theatre. He is a presenter of the Spoken Word radio programme on 3CR and the PJ (‘poetry jockey’) of the House of Bricks Spoken Word gig. 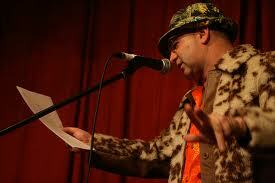 He appears on Going Down Swinging and Voiceprints CDs as well as the Melbourne Poetry Map website. He is a winner of the Overload Shelton Lea Award for Best Solo Performance. And as always, there will be plenty of space in the Open Mic Section with all readers in the running to be named Call-Back-Poet for the month. Each of the Call-Back-Poets will earn themselves a feature spot at the November event where they will have the opportunity to take home cash prizes, be crowned SpeedPoets Open Mic Champion, and thanks to Phillip Ellis, have a chapbook length zine of their work published ready to launch at the February 2014 event. Ink it in your diary people! SpeedPoets has made itself at home at Brew and are looking forward to powering ahead with a massive July event. For those of you out there who have not yet been to the new venue, Brew is located in lower Burnett Lane (between the 7-11 and the Duty Free store on Albert Street just after you cross the Queen Street Mall heading toward Adelaide St. View a map here: www.brewgroup.com.au) and is one of Brisbane’s exciting new venues. Santo will perform two 15 min sets, so make sure you are there to catch one of this country’s most innovative performers. And as always, there will be live sounds from Sheish Money, raffles & giveaways + Brisbane’s hottest Open Mic Section, so make sure you are there to make your mark on the mic. And don’t forget, the venue has a strict capacity of 60 people, so make sure you are there early to get your seat in the room!